Muffins, mimosas, massage and MOM! Everything about our Mother’s Day package will have mom feeling appreciated. Drop by the studio to purchase a gift certificate for that special Mom in your life and we’ll take it from there! Appointments are booking up fast for this popular package, so don’t wait! NOTE: Updated Booking Guidelines. We cannot stress enough the importance of booking ahead of time (preferably at the end of an appointment) to ensure you get your preferred day and time slot. Evenings, Thursday, Friday and Saturdays have become prime appointment times. As a courtesy to other clients wanting to get in and to our therapists, we would GREATLY appreciate a 24 hour notice if you need to cancel or reschedule your appointment. Sunday appointment times are no longer available via the online booking system and are reserved for existing clients only and ONLY upon request and availability. Thank you so much for your patronage and never hesitate to call or text Ellen directly at 816-525-7171 if you have any questions regarding your appointment, services, the scheduling process and/or if you are having a hard time getting in during a particular time frame. So tell me more about Signature Massage…. 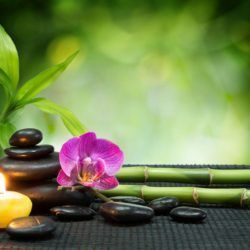 Utilizing innovative bodywork and massage techniques from around the world, you’ll soon experience something unique about a massage at Signature Massage of Kansas City. Ellen Hamilton, owner and founder, received her formal training from the nationally recognized TruMantra massage school in the Sedona, Arizona area called ASIS (Arizona School of Integrative Studies). During her training, she was exposed to a number of massage modalities unique to the Midwest. 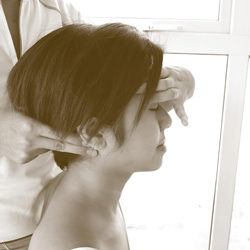 They include Cranial Sacral, Polarity, Ayurvedic, Thai Yoga and Shiatsu. Swedish, deep tissue, connective tissue and neurological muscular therapy (NMT) are of course included in her protocols. You will find her approach to massage treatment often includes a blending of these modalities. Her core services are affordable and include Swedish, Deep Tissue, Hot Stone, Thai Massage, Dynamic Cupping, Salt Glows/Body Polishing and a customer favorite – The SIGNATURE which is a blending of Swedish and deep tissue techniques. She also develops personal massage protocols for individuals who present specific health concerns they may be dealing with such as TMJ disorder, sciatic pain, headaches and lower and/or upper back pain. She recently developed a sports massage protocol which is becoming quite popular with golfers and runners. Periodically, you will have the opportunity to experience a featured Signature Massage technique. This will allow you to benefit from effective, yet innovative bodywork practices from around the world designed for relaxation,energy and/or pain relief. Infant Massage of Kansas City operates under the umbrella of Signature Massage. Christina Kartsonis-Woltkamp, a certified parent educator through Infant Massage USA, directs the program which includes parental instruction on infant massage in a classroom setting or through in-home visits. We welcome you to Signature Massage and look forward to an ongoing relationship with you which promotes health and well-being of your body, mind and spirit.